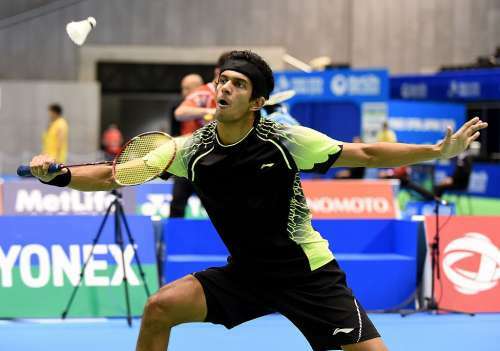 Top Indian badminton stars Ajay Jayaram and Parupalli Kashyap started their challenge at the 2016 Dutch Open in Almere, Netherlands on a winning note with both of them entering the third round on Wednesday. But curtains came down on the campaigns of two of India’s talented youngsters as Ruthvika Shivani Gadde and Siril Verma crashed out in the first round. For both Jayaram and Kashyap, this was their first tournament since last month’s Korea Open Superseries where the former was the only Indian to make it through to the quarter-finals. Two-time defending Dutch Open champion Jayaram is top seeded this time and he made full justice to his billing on Wednesday. The World No. 22 began his bid for a third title with an emphatic 21-16, 21-11 win over Finland’s Henri Aarnio. In his second round match, he was equally brilliant and notched up a 21-7, 21-9 victory over Bulgaria’s Philip Shishov in 23 minutes. The top seed next faces the 16th seeded Marius Myhre of Norway for a place in the quarter-finals. The 11th seeded Kashyap too was impressive in his first round and triumphed 21-12, 24-22 over Bjorn Seguin. However, he was presented with a stiffer challenge in his next round where he emerged a 21-11, 7-21, 21-10 winner over Danish qualifier Rasmus Gemke. The reigning Commonwealth Games gold medallist will next take on sixth-seeded Estonian Raul Must, who ended the hopes of India’s Lakhanee Sarang, 21-17, 21-17 in Round 2. 17-year-old Siril Verma reached the final of the Russian Open Grand Prix last week but could not replicate that effort this week and crumbled to a 20-22, 8-21 loss to Iikka Heino of Finland. Heino is ranked 97 places higher than the 237th ranked Verma. It was the same fate for the other breakout star of the Russian Open. 19-year-old Ruthvika Shivani Gadde won the first game but could not sustain the momentum thereafter, succumbing to a 21-18, 13-20, 20-22 defeat to Malaysia’s Lee Zii Yii. India had a great day in mixed doubles. Russian Open champions Pranaav Jerry Chopra and N Sikki Reddy picked up from where they had left and prevailed 21-5, 21-16 over local pair Ties Van der Lecq and Alyssa Tirtosentono. B Sumeeth Reddy and Meghana Jakkampudi too made a winning start and posted a 21-11, 21-17 win over Germans Daniel Benz and Theresa Wurm.